Apache web service is one of the key services for our websites, if it is down, our business is down. So it is very important to keep this service smooth, up and running. In a web hosting environment, especially when we talk about the shared hosting plans, thousands of web sites are being hosted on a single server. So if web service gets down, it means all the websites are down and a huge no. of customers is getting affected. One of my seniors once told me, If Apache is down, it means your server is down. So we need to make sure everything that Apache is alive. There can be multiple reasons because of which Apache won’t restart. 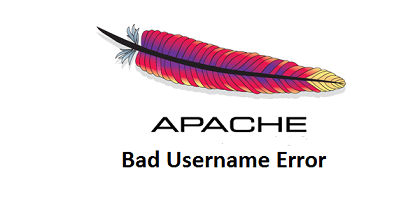 One of the errors is bad user error that you might get while restarting apache. I have experienced this error for numerous times, so decided to write some info and tips about it. And restart apache server again, it should be back online. The major reason of the bad user error can be that the account was removed recently from the server but the apache configuration file wasn’t updated. Since the both files /etc/userdomains and /etc/passwd and synced with each other on a cPanel server, and both have the same database for the user accounts on the server, so if a user is missing from any of these files, apache won’t restart. That is why, we add the user temporarily to get the web service back online.